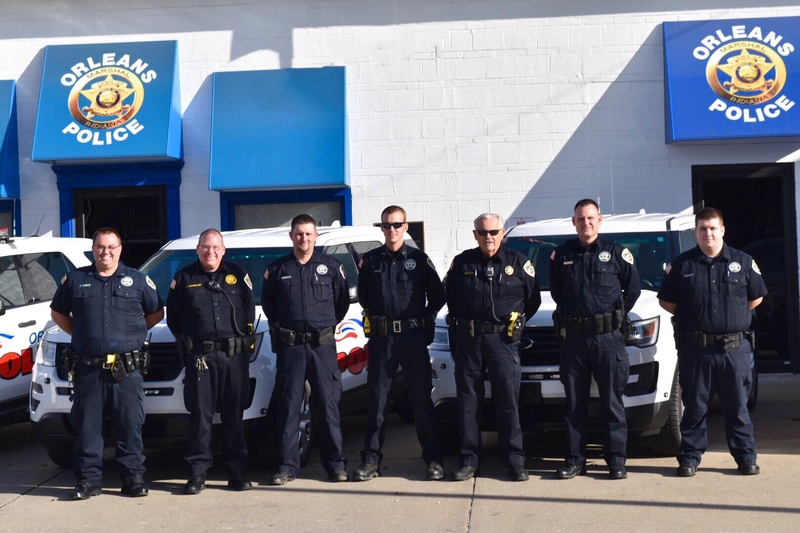 The Orleans Police Department has five full time sworn Police Officers and two Reserve Deputies to serve a population of 2,142 people. The Department has five patrol vehicles and is proud to serve the community with a 24 hour patrol program. Officers are dispatched by the Orange County Sheriffs Department and are in constant radio contact with dispatchers. 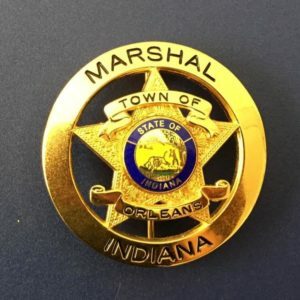 To reach an officer, citizens can call the Orleans Police Department at (812) 865-2222. In case of an emergency citizens may dial 9-1-1 to request the police department, fire department, or an ambulance. Pictured left to right: Alex Fugate, Roy McFarland, David Hopper (R), John McCoy, Richard Dixon, Jeff Tillett(R), Joey Montesano. The mission of the Orleans Police Department is to positively impact the quality of life throughout the community. To achieve these ends, the department is committed to forming a practical partnership with the citizens, which includes a mutual goal setting process aimed at resolving problems, reducing fear, preserving the peace and enforcing the law, thereby providing a safe environment for all citizens.